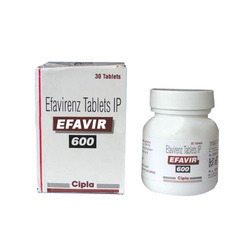 Exporter & Supplier of a wide range of products which include Anti HIV Drugs such as Lamivir Tablets, Nelvir 250 mg, Tenvir, Pancreatin 150mg, Ranolazine 500mg, Valtrex (Valcivir) and many more items. 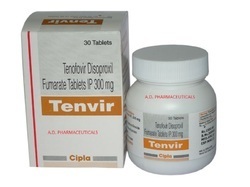 Tenvir is used in combination with other antiviral medications in patients with acquired immunodeficiency syndrome (AIDS). 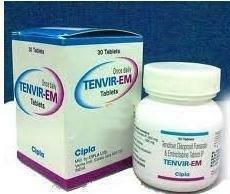 Tenvir is also used for the treatment of chronic hepatitis B infection. 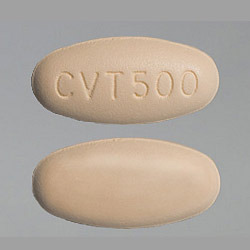 Tenvir - Tenofovir belongs to a class of antiviral medications called reverse transcriptase inhibitors. 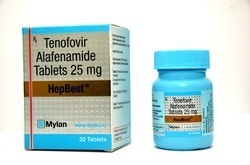 HIV-1 infection: Tenofovir is indicated in combination with other antiretroviral agents for the treatment of HIV-1 infection in adults and pediatric patients 2 years of age and older. This indication is based on analyses of plasma HIV-1 RNA levels and CD4 cell counts in controlled studies of tenofovir in treatment-naive and treatment-experienced adults. 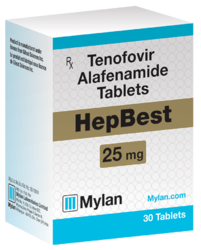 Tenofovir is indicated for the treatment of chronic hepatitis B in adults and pediatric patients 12 years of age and older. 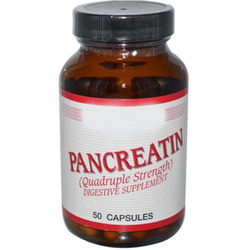 We are eminent name in the market that proffers Pancreatin 150mg that is widely recognized for its accurate composition and effective results. Owing to the enhanced shelf life, these capsules are widely used for a longer time. Pancreatin is a mixture of three pancreatic enzymes namely, lipase, amylase, and protease. Voriconazole is an azole-type antifungal medication used to treat a variety of fungal infections (for example, serious fungal infections such as invasivle aspergillosis and esophageal candidiasis). We are Leading EXPORTER & DROPSHIPPER of Lactitol Monohydrate at reasonable prices. 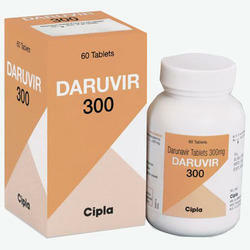 This medication is an antiretroviral drug, prescribed for HIV/AIDS. Being a reckoned name in this domain, we are the leading manufacturer, wholesaler, trader, retailer and supplier of an excellent quality Lopimune Tablet which is help controlling HIV infection, the offered medicines are well processed with utmost care using finest quality of ingredients. Our medicines are thoroughly checked by our quality experts for assuring its precise formulation. Customers can avail these medicines from us at reasonable rates. It helps to decrease the amount of HIV in your body so your immune system can work better. This lowers your chance of getting HIV complications (such as new infections, cancer) and improves your quality of life. 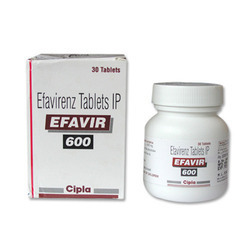 Efavirenz belongs to a class of drugs known as non-nucleoside reverse transcriptase inhibitors (NNRTIs). 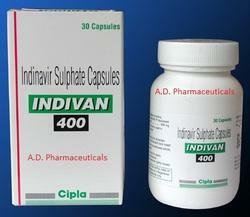 Indivan (Indinavir & US trade name Crixivan) is a protease inhibitor used as a component of highly active antiretroviral therapy to treat HIV infection and AIDS. 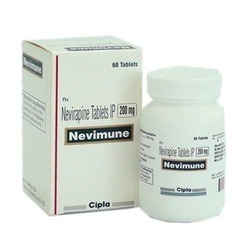 Nevimune (NVP), also marketed under the trade name Nevimune, is a non-nucleoside reverse transcriptase inhibitor (NNRTI) used to treat HIV-1 infection and AIDS. 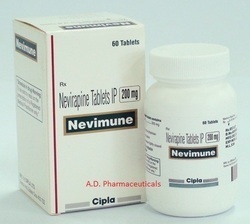 Nevimune does not cure HIV/AIDS. 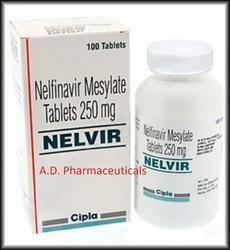 It is not known if Nevimune reduces the risk of passing HIV to other people. 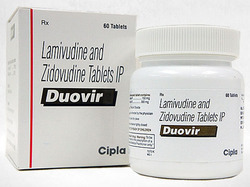 Lamivudine / Lamivir 150 mg In order to provide the highly effective assortment of medicines to our clients, we are linked with reliable vendors of the market. The selection process for the reliable vendors is done by our procurement agents on various parameters. We have deployed highly experienced and capable team of professionals. 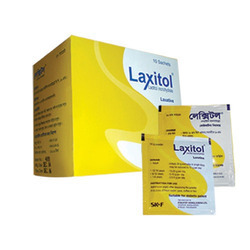 As a reputed enterprise of the industry, we are involved in offering a broad range of Lamivir Tablets. 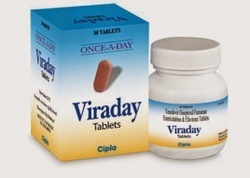 Offered tablets are used for treatment of chronic hepatitis B at a lower dose than for treatment of HIV. They improve the seroconversion of e-antigen positive hepatitis B and also improve histology staging of the liver. Our offered tablets are processed using finest quality chemical compounds and superior machines by our skilled professionals. In tune with industry norm, we offer the entire range in diverse packaging options at industry leading prices. 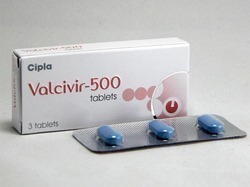 We are engaged in offering high quality Generic Valtrex Tablets to our valuable clients. 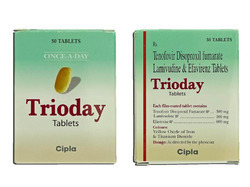 Our offered tablets are widely used by the doctors for the treatment of infection caused by herpes virus. 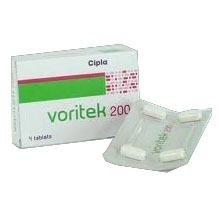 These tablets are processed using finest quality chemical compounds, following industry accepted norms. The offered tablets are available in diverse packaging options to meet the diverse needs of the clients spanning all over the nation. In addition, these tablets are severely tested on well distinct parameters to ensure its quality. Trebinafine which is an antifungal agent, prescribed for jock itch, athletes foot and other types of ringworm infections. Trebinafine works by stopping the growth of fungi. 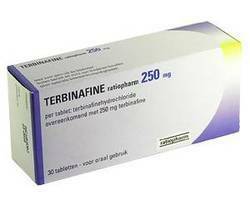 Terbinafine works to harm the yeast and fight the infection. 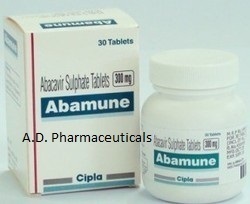 Abamune 300 is a nucleoside analog reverse transcriptase inhibitor (NRTI) used to treat HIV and AIDS. 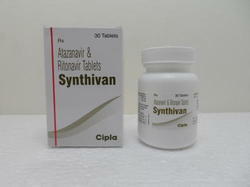 It is available under the trade name Ziagen and in the combination formulations. It has been well tolerated: the main side effect is hypersensitivity, which can be severe, and in rare cases, fatal. Genetic testing can indicate whether an individual will be hypersensitive; over 90% of patients can safely take Abamune. However, in a separate study, the risk of heart attack increased by nearly 90%.